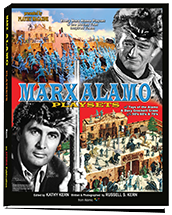 Marx Toy Kings Volume 1 and Volume 2 now available in SOFT COVER!! 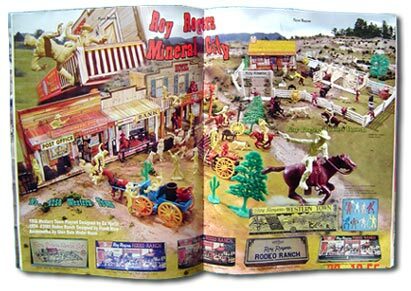 The excitement of the Marx playset has never left those of us who had and loved them as kids of the Atomic era. 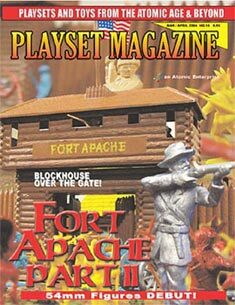 Playset Magazine takes you back for more fun with great photos, reports, stories and news featuring your Fort Apache, Battleground, Cape Canaveral and all the other fabulous sets. 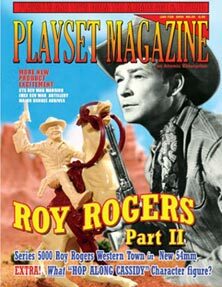 We concentrate on Marx and the Louis Marx toy company but cover all the fantastic plastic from MPC, Eldon, Ideal, Deluxe Reading and so many others from the Atomic Age and Beyond. 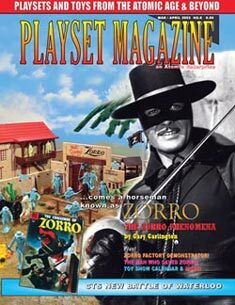 Plus we love the incredible new sets too from designers like Barzso Playsets, Inc., Toy Soldiers of San Diego, Conte, and others. 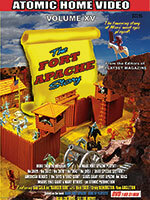 We interview the world's greatest toy makers and feature the best toy writers, photographers to deliver the most complete history, news and information ever published on plastic --You'll see the vintage toy soldiers, Army men, Cowboys, Indians, space men, rockets, tanks, buildings, forts and castles and all the other toys that came in these sets. 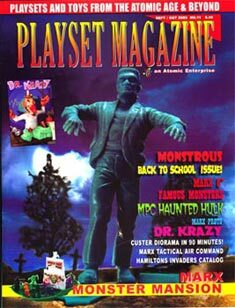 And Playset Magazine is joined by a growing line of DVDs, books, streaming web video, and soon, music. 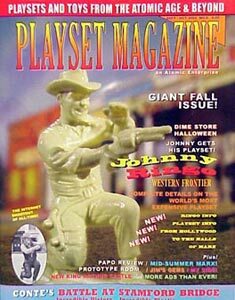 So welcome to our website, look around, and begin your journey to the fun and excitement of the be st toy soldiers in the world, from the only vintage plastic toy magazine in the United States. 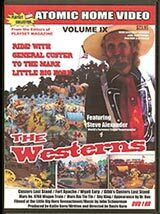 Welcome toy collector! Here are a few more examples of our magazine. 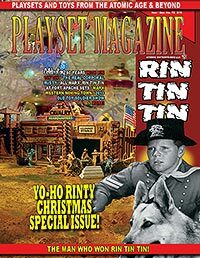 Click on each cover to find out more about each issue. 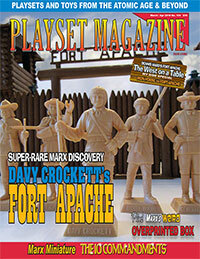 To search through all our past issues, please click on the "SINGLE ISSUES" button above. Big Color Centerspread in Each Issue! WE ACCEPT CREDIT CARDS ONLINE THROUGH PAYPAL! 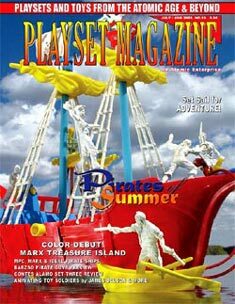 Playset Magazine is published six times a year and is America's Only toy magazine devoted to Marx Playsets and toys from the Atomic Age of toys.